What do you do to get your daily calories requirement?Definitely YOU eat a balanced diet rich in various nutrients that give us enough energy for the healthy functioning of our body. And what type of diet you want? Definitely tasty, energetic, healthy and within your budget. But, if something is tasty and energetic will it be healthy as well? It may or may not be. Here we're going to talk about such thing that you may not like and would not think getting it in your diet. But, that is something you must use in your diet and also daily. And that is onion juice because of its mutiple health benefits. Download "21 Juicing Recipes of Healthy Living And Weight Loss"
Also, you cannot eat certain foods everyday to fulfill your calories requirement even though they could give you daily required energy. For example, can you eat 23 fried eggs (46 g each) OR 19 bananas (118 g each) every day over a month? Nobody can. But, both of them give you over 2,000 calories. So, we eat diets that contain variety of nutrients in recommended amounts to boost the taste and energize our body. And here is the evidence in favour of onions that makes onions an integral part of your diet. The onion is perhaps most commonly known for being an aromatic ingredient that you can use in all kinds of dishes, but this powerful vegetable also provides benefits that reach far beyond the dinner table. Onions contain potent health-promoting flavonoids and phenolics that act as anti-carcinogenic, antioxidants and anti-inflammatory agents, making this important vegetable a force to be reckoned with. It is also a good source of vitamins e.g. vitamin C, vitamin B1, vitamin B6, Folic Acid, and body essential minerals e.g. calcium, phosphorous, magnesium, a﻿﻿nd dieta﻿﻿ry fibers. Not only does the onion itself contain beneficial properties, but the juice of the onion is surprisingly useful as well. Below are the top 10 health benefits of onion juice. The quercetin contained in onions is absorbed through the intestines, and resides in the bloodstream for a long time, providing die-hard protection from these bothersome ailments. Quercetin is an antioxidant neutralizes free radicals that cause cell damage and it also strengthens cells that release histamine in our body. As they are a quercetin-rich food, onions reduce the buildup plaque in arteries that is a main cause of heart attacks and other life-threatening heart diseases. 2. Helps in proper digestion of foods. Proper digestion of the foods we eat is the backbone of a healthy, functioning body. If we don’t digest what we eat then we have to be ready for more diseases. And here again, onions play an important role in keeping our digestive mechanism in place. Some of the diseases caused by digestive disorders are gallstones, cholangitis, GERD, and hiatal hernia. Inulin functions as a natural "regulator," keeping the appropriate amount of good bacteria at optimal levels in order to maintain a healthy digestive system. 3. Promotes hair growth and reduces hair loss. This is one of the most unique and yet overlooked uses for onion juice. It doesn’t mean you have hair loss problem if you lose 50 to 100 hairs a day. This is normal. But if you lose more than this, you need to take it seriously. 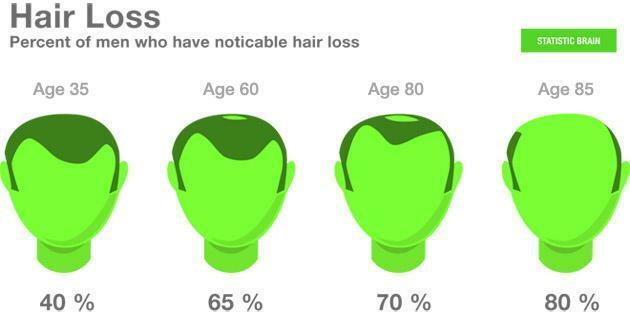 In some cases, losing even more than 50 to 100 hairs a day is common. And this normally occurs in people who have gone through any of the following conditions. This is called hair shedding and stops within a few weeks or months. Hair shedding is different from hair loss because it is normal and stops over the time. However, with hair loss, hair growth stops due to weak hair follicles. One of the many beneficial ingredients found in onions is sulfur, which is well-known for its ability to stimulate hair growth. One study revealed that applying onion juice to the scalp twice a week for roughly two months can stimulate the follicles to promote hair growth. Onion juice increases the circulation of blood to the scalp, and the sulfur found in the juice acts as an antibacterial and antifungal agent, which keeps the follicles clear and healthy enough to grow hair. Onions also have the important hair nourishing and thickening mineral silicon. 4. Remedy for the Common Cold and Other Respiratory issues. Also, the oil that is found in onion juice is a very potent expectorant, which enables it to loosen and dislodge stubborn mucous, as well as preventing new mucous from forming. Raw onions, in particular, are commonly used to help combat the common cold. 5. Promotes healthy bones by maintaining bone density. Do you care about your bones? You MUST. If you have weaker bones, they are prone to osteoporosis (a condition in which bones become porous and thin). A bone that is porous and thin loses strength and is more susceptible to breaking. The above statistics suggest that 30,000 Canadians suffer hip fractures every year and osteoporosis is responsible for 70% of them. And at least 1 in 5 men and 1 in 3 women will suffer from an osteoporotic fracture in their lifetime. So the first thing that comes in our mind is how do onions help us get healthier bones? Onions are also good for bone health due to their silicon content. This is particularly useful for aging women who commonly suffer from osteoporosis. 6. Promotes healthy and vibrant skin that enhances your look. Onions also nourish your skin and make it beautiful because of the following effects. Onion juice promotes optimal blood circulation within our skin's tissue, which prevents toxins and pollutants from stagnating and forming infections. In addition, raw onions have often been used as a poultice to treat boils, wounds, and various skin inflammations. Onions have quercetin, vitamin A, C, and E that are powerful antioxidants and skin nourishing nutrients. You May Also Like : Is Rose Hip Oil Good For Your Skin? 7. A natural remedy to keep your cholesterol under control. Can you lower your total cholesterol levels by consuming onions every day? It may seem suspicious to many but the answer is yes. This is a good alternative for those who don’t want to take cholesterol lowering drugs but do want to lower cholesterol naturally by diet. Cholesterol (or lipid) is important for the proper functioning of our body, but if there is a higher level than normal in our body, it becomes a threat. Proteins carry cholesterol in our body and when both combine, it is called lipo-protein. There are two main types of lipo-protein in our blood. 1. HDL (high-density lipoprotein) or good cholesterol; higher levels of HDL are considered good. 2. LDL (low-density lipoprotein) or bad cholesterol; higher levels of it are considered unhealthy because it builds up on arteries and restrict proper flow of blood. Higher LDL values are responsible for many life threatening diseases like heart attack, stroke, atherosclerosis, blood clot, etc. Onions have long been known for their ability to lower cholesterol buildup due to the chromium, Vitamin B and sulfur compounds that are found in rich supply in this essential vegetable. The ingredients in onions help to lower the body's homocysteine levels, which are often a threat to cardiovascular health. 8. Helps to maintain a healthy blood glucose level. If you have higher blood sugar levels, your health is at risk. This serious health condition is also responsible for other critical complications, e.g. hypertension, vision problems or blindness, kidney diseases, strokes and cardiovascular diseases. And heart attack rates were 1.8 times higher in people diagnosed with diabetes than those who were not diagnosed with diabetes. The only way to prevent this tragic health condition is to have a normal blood glucose level which you can achieve this if you eat a healthy diet and exercise regularly. Incorporating onions into your daily diet is an added benefit because they are also good at keeping your glucose levels at normal levels. 3. The allyl propyl disulfide found in onion juice is also a key contributor to the body's ability to maintain proper blood sugar levels, as it helps to prevent unhealthy spikes and drops in blood glucose. Therefore, to mitigate your risk, you may include onions in your diet because onions are replete with a variety of sulfides, all of which offer anti-carcinogenic properties. Consuming onion juice on a regular basis will help reduce the risk of a variety of cancers. 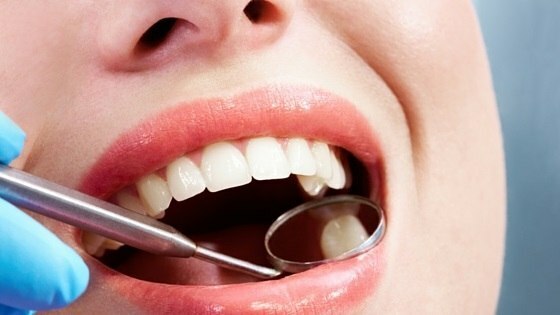 If you take care of your oral health, your overall health will be on track. Why? But, onions favour oral health for their antibacterial properties, which are particularly effective in fighting tooth decay and other oral infections. One recent study revealed that chewing a raw onion for roughly three minutes would effectively kill all of the germs and bacteria in the mouth. Onions have been traditionally used as a remedy for toothaches as well. Nobody really wants to eat whole onions daily to cure or prevent the above conditions. But a healthy diet should include them, especially after you have just read about the benefits they have. What do you think about this? Have you anything to share about onions? Please leave us a message in the comments. Previous Post 20 Surprising Benefits of Drinking Lemon Water in Morning Next Post Coffee : Is It Good For Your Health? It could be an amazing tip. Thanks for sharing your views. There are a bunch of things to consider for weight gain/weight loss like your diet plan, height, BMI. Kindly be more elaborate. onion helps to reduce lipids. i quite agree, i have been consuming chopped big onion with lunch, every other day for 4 monts and ( without taking statings) and found my lipid profile test is pretty normal. Been consuming a glass of raw onion juice followed by beet root juice every morning. My copd seems non existent right now. btw, there are so many different types of onion, does all of them have the same health benefits as described in your list or only the gold onion? Hello DD, Thanks for sharing your interesting thoughts. Well, there are two widely used varieties of onions, Red and Yellow. And they do have nearly same nutrients. Better you go for only those two varieties. it brings hope to us as it consumed naturally.be blessed.